Complete our search form now to get the car rental in Grenoble for the price you’d love! 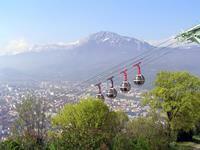 Our site offers only the lowest online prices for car rental Grenoble! Get the cheapest car rental price guaranteed plus friendly customer service and cars from the leading companies with car rental Grenoble! With our car rental service you needn’t spend more than you see - no additional payments! We provide you with the widest range of car rental deals available so that you choose the vehicle that suits your car rental budget and your needs the best. Let us provide you with reliable car rental Grenoble and make your trip exciting! Check a list of Grenoble car rental locations and a Car Rental Grenoble - Must Know note and see the Places to Visit in Grenoble! Stendhal’s birthplace and the modern research center of France – Grenoble is the heart of Rhône-Alpes region, situated in a valley between the three snow-capped mountain ranges - Chartreuse, Verka and Belledonne. From here you can arrange excursions into the mountains, and then dine with a famous " pomegranate", the recipe of which is guarded in each Grenoble family with almost diplomatic rigor. Here you can mingle with the noisy crowd of students, and chew these walnuts, and on a hot summer day to plunge into the icy water of the mountain lakes. In France the movement is right-handed. Speed ​​limits: in the city - 50 km/h, out of the city - 90 km/h, on the highway - 130 km/h. Always wear seat belts. Allowable blood alcohol content is 0.5 g per liter of blood. In the case of controls on the roads you must have your driving license, a "green" card (carte verte) of international insurance and "gray" card (carte grise) of the vehicle. Before you start exploring the city in your car rental vehicle we advise you to visit this place. Bastille is a low hill in the center of Grenoble with a breathtaking view of the city and its surroundings, as well as the alpine massifs, trembling in the distance, in a blue haze. The top can be easily reached by a cable car (for 6 €), by the way, it was built one of the first in the world in 1934. You can explore the ancient fortifications, as well as dine in a restaurant with panoramic views. 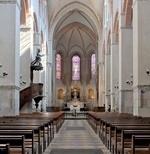 Cathedral of the Virgin is located on the eponymous square one and a half kilometers east of Grenoble railway station. Driving your car rental vehicle you’ll find it easily. It is inseparable from the surrounding temple complex, the site of which starting from the 4th century was the residence of the bishops of Grenoble. In addition to the Cathedral of the Virgin the complex also includes the Church of St. Hugh, Bishop's Palace and the ruins of the Baptistery. Municipal Museum is located in the area of Grenoble place Lavalette a mile east of the train station. Drive your car rental vehicle in this direction! It was founded in 1798 - much earlier than other provincial museums. 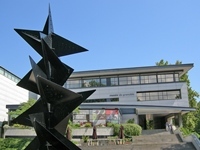 Since the 20s of the 20th century the Museum of Grenoble was considered the main museum of modern art in France as the Parisian museum appeared only in 1947. The museum displays ancient Egyptian sarcophagi, the objects of Greco-Roman culture, European paintings from the 13th to the 21st century, a collection of African statues. RentalCars24h.com offers you reliable car rental Grenoble services that will help you to feel free and independent when moving around the town. Providing best online prices for car hire Grenoble services, RentalCars24h.com allows you to save money each time when you rent a car in Grenoble.